Other names had been floated around, the most prominent being Jessy Mendiola, but it turns out the iconic two-piece red suit is still being reserved for Angel Locsin. A slender tall drink of water, Gabbi Garcia had never bothered with counting calories and minding her fitness. Alden Richards and Maine Mendoza know that all great things will have to come to an end. Here’s Team Cebu for Bb. Pilipinas 2016! A Philosophy major and a Tourism student both from the University of San Carlos are this year’s Cebuana bets for Binibining Pilipinas 2016. Mylene was paired up with Chef Atong for Team Blue, while Jericho partnered with Chef Sheena for Team Yellow. After wrapping up work on her first TV lead role in “Innamorata,” the lovely Max Collins is now gearing up for another first – a titular part on an international indie. After the Binibining Pilipinas fever, next up on our pageant watch is the Miss Philippines Earth (MPE) finals happening next month. Who will be the fifth Queen of Cebu? 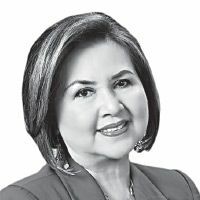 My Pretty Mama, Cebu’s search for the “compleat” woman, is ready to select its second title-holder after a successful initial edition last year.